As a highschool student who is striving for a better future and also comes from a family who immigrated to America in search of a better future, your comments regarding Charlottesville were nothing short of outrageous. It is unacceptable for a president to compare law-abiding citizens who are honest, decent human beings to groups such as Nazi’s and the KKK which believe that the white race is superior over all. You claim that a wall will be built along the southern border separating the US and Mexico and have said that Mexicans are “rapists and criminals”. You don't act the way a president should due to your lack of leadership and decent moral values which allow a president to treat every person the same regardless of their ethnic backgrounds or the color of their skin. Your biggest mistake since you came into office was signing Executive order 13769 or most commonly known as the Muslim ban. This Muslim ban denied entry from seven countries that are predominantly Muslim. It also suspended the entire US refugee admissions system for 120 days. You made a rigorous vetting process even harder and although you say you want more strictures you do not describe what they are. Along with that, the Syrian refugee program was suspended meaning the refugees had to go back to dangerous camps back in their countries. Not only is this inhumane but how can America strive to be “Great again” if we are committing acts such as these. When the US accepted around 12,000 Syrian refugees back in 2016 we weren't the only ones to lend a hand. Germany received about 300,000 refugees. Turkey has received about 2.7 million refugees since the Syrian civil war started. Lebanon 1 million refugees and Jordan 650,000 refugees according to UN estimates. How can America become great again if we aren’t willing to help those in need. How can we set an example of how nations should act if we reject those who need our help especially when we have the resources to do so. Diversity makes this country great but we can only become greater by continuing to embrace our differences by accepting and treating each other with dignity and respect. I urge you to reconsider executive order 13769 so that America can take a step forward in becoming great again, not by building a wall to separate two countries, not by claiming people in white supremacist groups are “fine people”, and certainly not by denying entry to the US for seven countries that are predominantly Muslim because you believe they are terrorists. In a recent speech by Lt. General Jay Silveria he addressed an incident regarding racial slurs at the air force academy in Colorado. In his speech he spoke about the power of diversity “The power that we come from all walks of life, that we come from all parts of this country, that we come from all races and all backgrounds, gender all upbringing and makes us that much more powerful.” he proceeded to say that if you can't treat someone with dignity and respect regardless of gender, race, or the color of their skin then you need to “get out”. This is the type of mindset that a good president should demonstrate and it is the mindset that all Americans should follow in order for this country to be great again. If we can achieve to live with this mindset and come together in all the chaos currently going in America with people on various sides then nothing will stop this country. 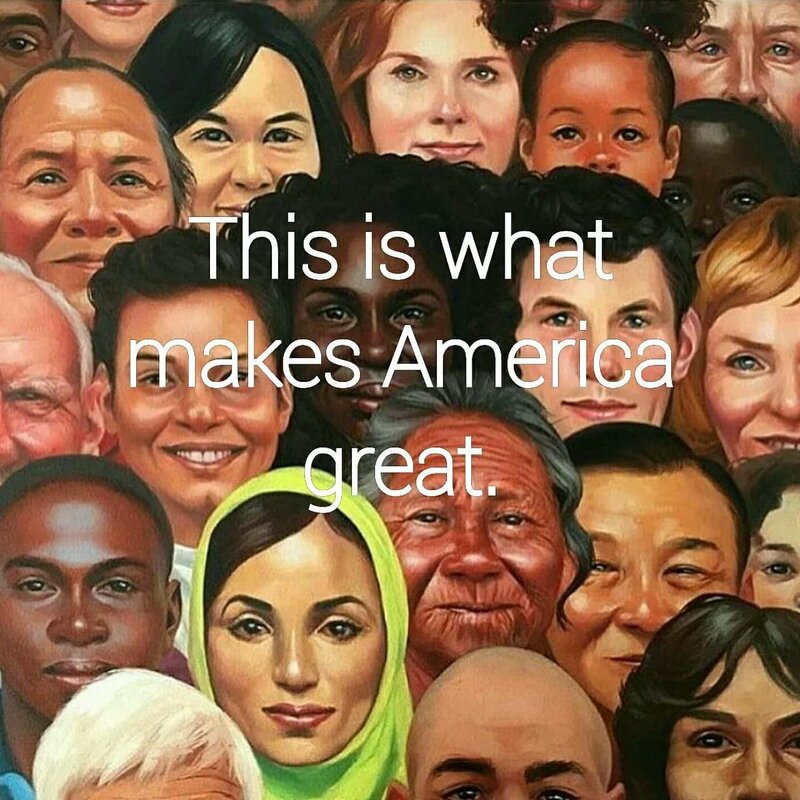 If we can break the barrier of separating groups of people based on how they look or unjust and unfair stereotypes such as the one believing all Muslims to be terrorists or Mexicans are “rapists and criminals”, America will truly be “Great Again”.